If you are looking for a high value iPoker deal, we have you covered with Betfair! Join our €5,000 Exclusive Betfair Micro Twister Races and reward yourself with up to €800 for the top performing player. Note: The €5k race is splitted into bi-monthly 2x €2,5k races and only Twister players up to €10 buy-ins or less are included giving our smaller Twister players a great chance to cash-in! Top 3 performing players are rewarded with cash prizes, #4-50 are paid Twister token. 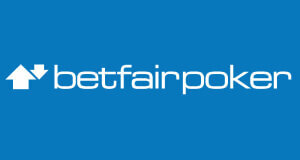 All players who sign-up with Betfair through us are eligible for the promotion. This promotion starts from March 1st and runs until March 31st, 2019. Prizes shall be credited to player accounts within approx. 3 business days after the promotion ended.